This class is designed for all fiber artists: weavers, felters, dyers, and surface designers—to inspire and help you make a beautiful, unique jacket from your own fabrics, during a week of fun. Read more below . . . 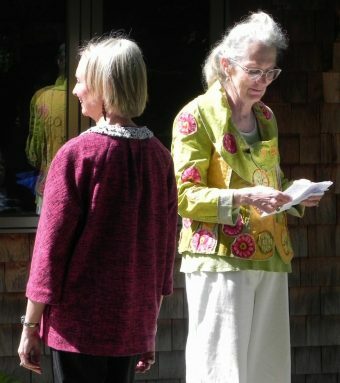 This class is designed for all fiber artists: weavers, felters, dyers, and surface designers—to inspire and help you make a beautiful, unique jacket from your own fabrics, during a week of fun. We’ll begin with a Mary Sue Jacket Trunk Show. With help you’ll choose a suitable style for you and your fabric (approx. 5 yards of 30″ width), alter your pattern if needed, and sew, using contemporary and classic methods. Weavers have the option of weaving their fabric in class. (Looms and weaving accessories provided.) Sewing machine in good working order required. 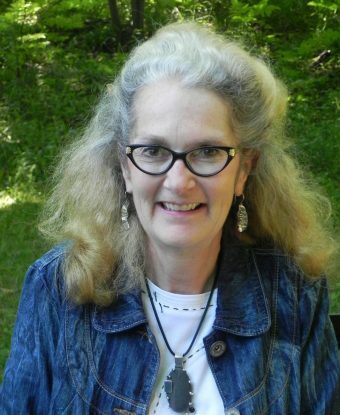 Mary Sue Fenner’s background in fibers comes from Clothing, Textiles, Design and Art studies at U. WI-Stout, Newcastle-Upon-Tyne Polytechnic in England, Kansas U. and UW-Milwaukee. Her colorful, creative wearables are seen in area shows, galleries, magazines such as Handwoven, Belle Armoire, Altered Couture, Sew Somerset and Haute Handbags, and won the WI Handweavers Inc.’s “Loominosity” HGA Award. She serves on the WI Museum of Quilts & Fiber Arts Board.